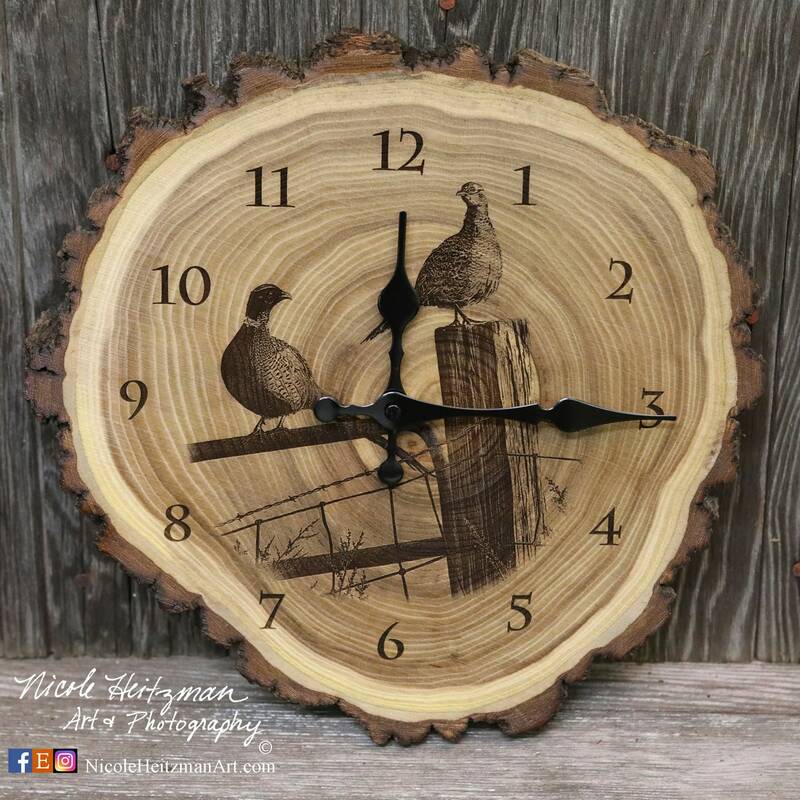 Each wooden clock was designed by Artist, Nicole Heitzman. The clocks are engraved on real South Dakota plaques of wood with bark. Each piece varies due to it's own unique character from nature. The sizes also vary some, but she keeps them as similar as possible. The plaques are circular & the size may vary from approximately 12" to 14" wide by 12" to 14" tall and 1 1/2" thick. Custom designs are possible for an additional designing fee. Please inquire if interested in more details on having Nicole draw up something specific.